Do you take pride in your sharp vehicle? Are you hesitant of running it through an automatic car wash that could possibly scratch it with its brushes? If you answered yes to either of these, then you should try FishHawk Finish Line Car Wash’s TOUCHLESS automatic car wash! We have a touchless automatic car wash that eliminates those harsh brushes and cloths that could scratch your vehicle. Brushes slap dirt and soil onto your vehicle. Our touchless automatic car wash uses high water pressure, plus mild chemicals which minimize the chances of surface damage. Clean your vehicle without the friction and it still provides a clean result! You also do not have to worry about antennas or other fine features breaking off your car. After a fresh wash, spritz it up by using a damp shammy or microfiber towel that will prevent hairline scratches. 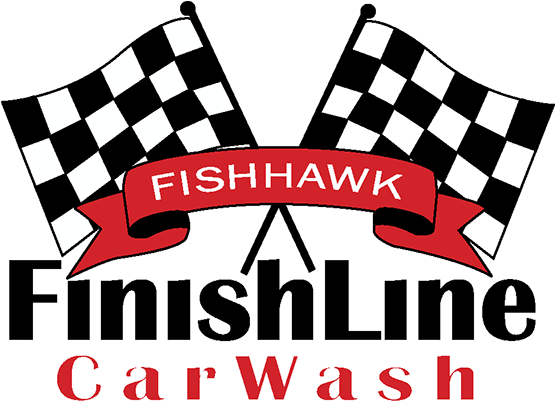 So, if you are one that usually wants your vehicle hand-washed, come and try FishHawk Finish Line Car Wash’s TOUCHLESS automatic! It will be sparkling CLEAN as if you washed it yourself.